Imlementation of HTML5 Widget apps in offline mode on Windows Phone 7 Mango. The browser in Windows Phone 7 Mango is almost the same version used for the IE 9 desktop edition. This means WP7+ is able to render HTML5 content and run HTML5 apps. In comparison to Chrome, it supports less HTML5 elements, but some of the important features like geo-location and canvas work well. If you want to open an HTML app in offline mode, you will have a little problem. Currently, there is no way for WebBrowserControl in WP 7 Mango to navigate to an HTML file which is located somewhere in the file system at the phone as supported by other competitors, e.g., Android and iOS. This means you are constrained to develop a classic HTML5 Widget app on WP7. With WPWidgetLibrary, you can build an HTML 5 Widget app as a native WP7 app. Afterwards you can publish it on the Windows Phone Marketplace and easily make updates for the app. The library works so that the first time it installs HTML5 content in Isolated Storage by simulating the real hard disk, and paths of the HTML pages, scripts, images, etc. We have been inspired in this project by the great idea of Windows Mobile 6.5 Widget Apps. /// and create file system in Isolated Storage. /// We can restrict file to be part of HTML app. /// Small helper to xtract name from full resource W7 name. /// Creates the list of all subfolders from specified array. /// Create folder structure of our web site with all folders. /// you install current version is recomended. /// We need to go throught all folders and subfolder in order to delete every file. /// Check if the app is running for the first time. The HTML content has to be included in the project as an Embedded Resource. The method above extracts the resource content on Isolated Storage based on the input argument htmlDirs. During extracting, the file and folder structure must be the same as the original so that the links and paths are valid. Note that this method is called only the first time the application is running, which is important for localDataStorage and persistent objects while using HTML5 apps. By using WPWidgetLibrary, you can make fully functional hybrid Windows Phone 7 applications in only a few steps. The library runs only in Windows Phone 7.1 so you have to install Windows Phone 7.1 Developer Tool for Visual Studio 2010. Reference the WPWidgetLibrary DLL in your WP7.1 project. Copy your HTML (App) to some project folder and mark all files in build action as EmbeddedResource. In the MainPage constructor, append the following code. This code will, on the start of the application, copy all HTML related content to Isolated Storage. The string array (second argument of InstallHTMLContent) should contain all subfolders of your project which have to be copied to Isolated Storage too. If you have a very simple app with all files in one folder, then this argument is not required. Set the initial page to the WebBrowser control from the MainPage Loaded event in code-behind. The following code is a common WebBrowser code, which starts browsing the page. Please note that the navigating page (StartPage.htm) is not the page hosted online. It is the page in Isolated Storage. Compile and run the application, and you are looking at a full featured HTML Widget application. By default, WPWIdgetLibrary only supports a limited number of file formats which can be part of the HTML5 app. For example, if you want to add an AVI file to your HTML5 app, you need to make a new implementation class derived from the base class. The following code shows an example of supporting the AVI file format. What we have done here is overridden the IsWebExtension method and implement support for the AVI file format. Similar logic can be applied for any other format. 1.0.1 October 2011 - First release version. Bahrudin Hrnjica holds a PhD degree in Technical Science/Engineering from University in Bihać. Besides teaching at University, he is in software industry for more than two decades, focusing on development technologies e.g. .NET, Visual Studio, Desktop/Web/Cloud solutions. He works on development and application of a different ML algorithms.In the development of the ML-oriented solutions and modeling, he has more than 10 years of experience. His field of the interest is also the development of predictive models with the CNTK and Keras, but also actively develop two ML based .NET open source projects: GPdotNET-genetic programming tool and ANNdotNET - deep learning tool on .NET platform. He works in multidisciplinary teams with the mission of optimizing and selecting the ML algorithms to build ML models. 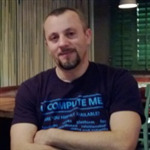 He is the author of several books, and many online articles, writes a blog at http://bhrnjica.net, regularly holds lectures at local and regional conferences, User groups and Code Camp gatherings, and is also the founder of the Bihac Developer Meetup Group. Microsoft recognizes his work, and awarded him with the prestigious Microsoft MVP title for the first time in 2011, which he still holds today. this can be packaged and distributed via Marketplace ??? I actualy dont know how phonegap works, but with wpwidgetlibrary you can do whatever you do with ordinary browser. Regarding Makretplace why not. You have to follow all instructions and standards for publishing on the marketplace and thats it. Not that this is a large library, just a very neat trick underscoring the value of keeping things simple - while still providing something useful. Thanks for comment, there will be more articles about the library. It will be presented on our blogs. This project seems to be driven by daenet?! Are you also a daenet MVP? Belive or not HTML5 is future technology more than SL. I like SL and XAML, they are the best programming tool ever, but the reality is different.